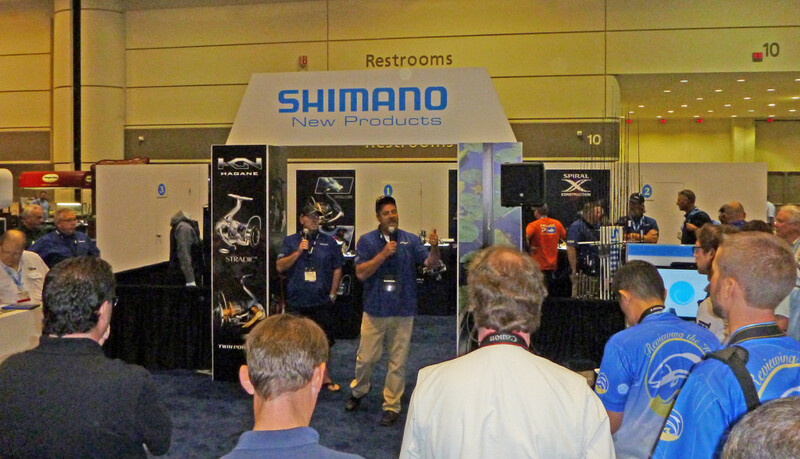 Team Shimano kicked off the show with a quick chat with Mark Zona and other members of their pro staff. 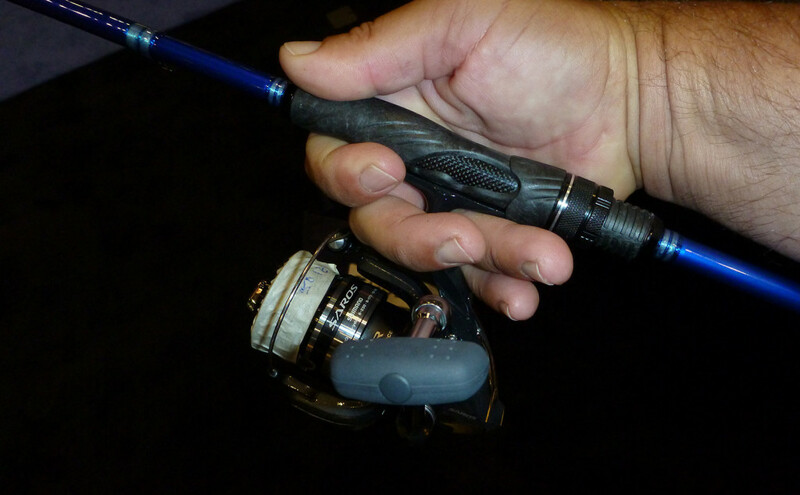 They introduced the new Hagane design for power and durability that will permeate the new lines of Shimano products. 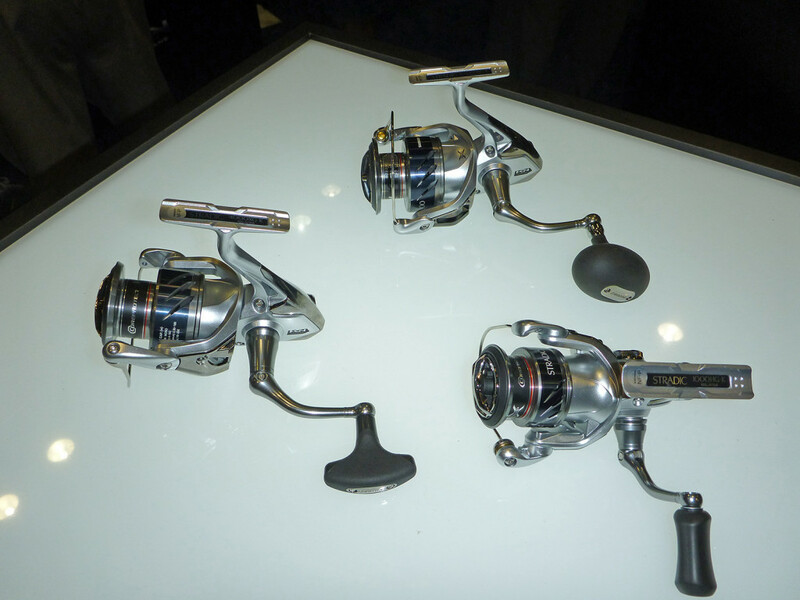 Shimano has introduced a renewed edition of their classic reel, the Stradic. 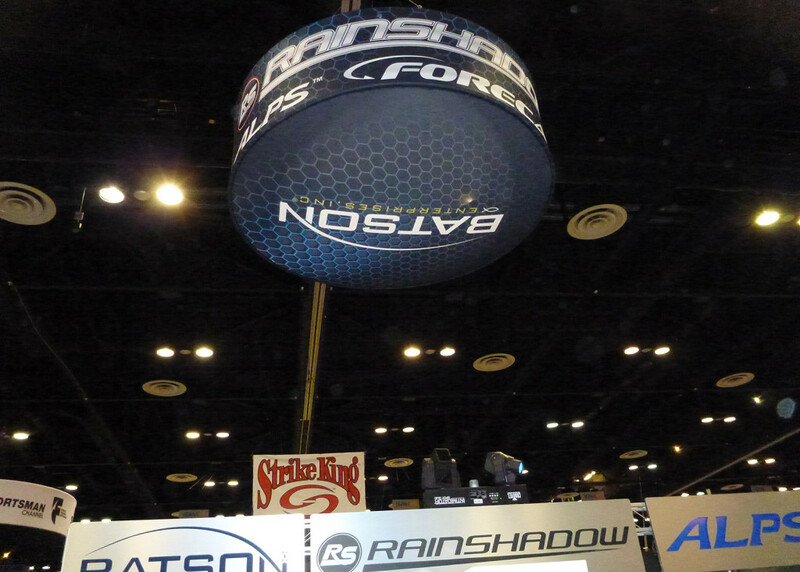 The new Stradic C3000HG-K won Best in Show Freshwater Reel in this year’s Showcase. 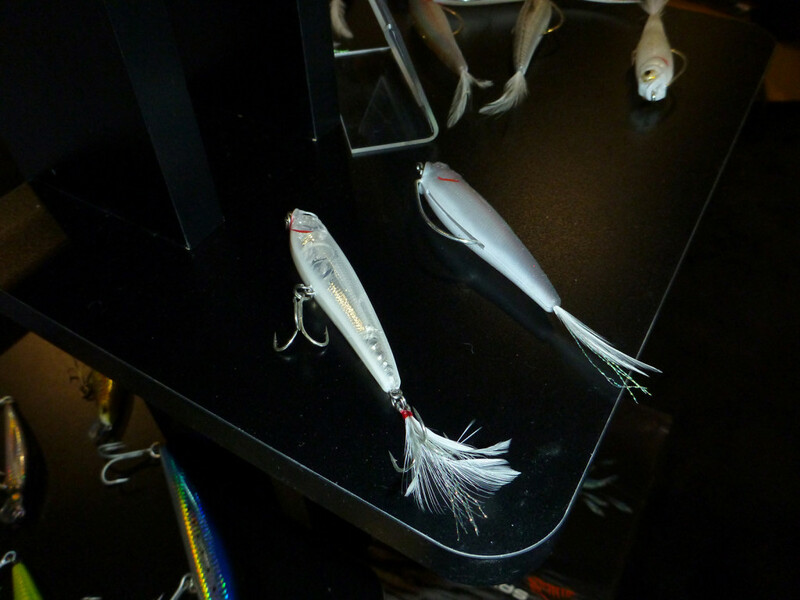 Shimano also introduced a new twist on their popular Orca top water lures. 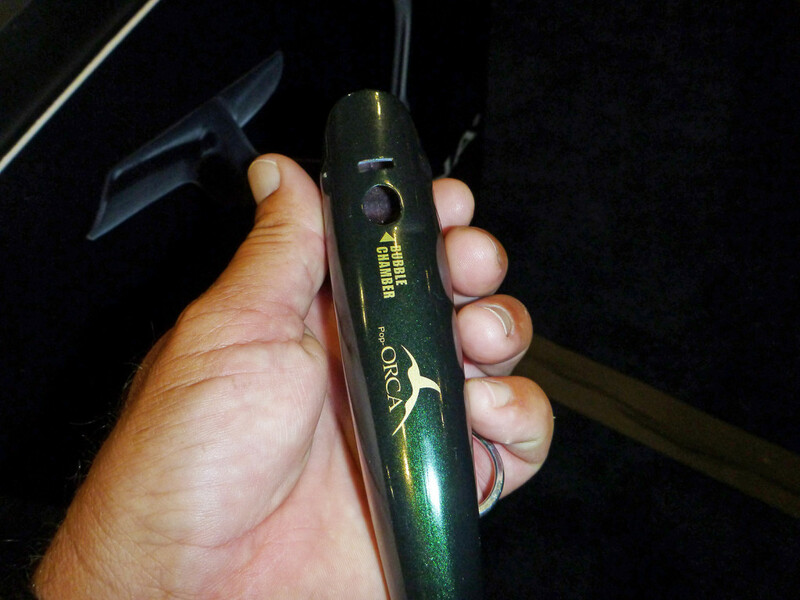 The new Pop-Orca has a unique jet-head and bubble chamber, which allows bubbles to blow through the head causing more fish attracting commotion. 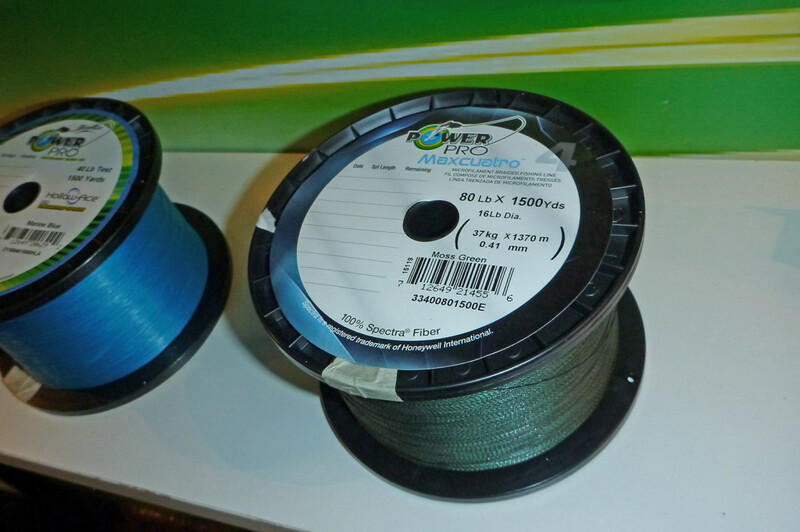 Power Pro introduced their new Maxcuatro braided line which is 25% thinner than previous braids of the same strength. This innovation was worthy of Best in Show for the Line category. This allows an angler to get more capacity or bump up their test strength without loosing reel capacity. 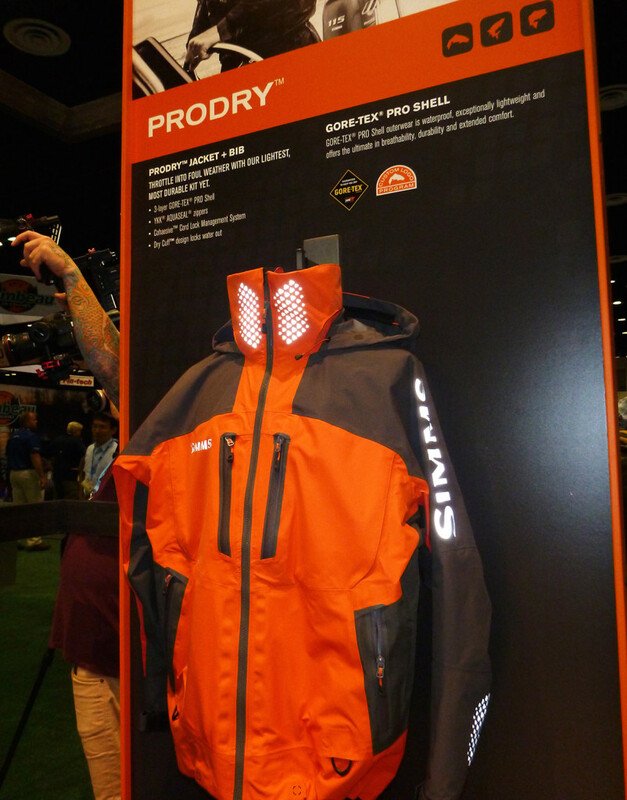 Simms big hit is the PRODRY Jacket, an improved version of the already proven original version. Tested by professional fishermen and guides, the new PRODRY jacket is the culmination of years of fishing experience in the toughest weather conditions. 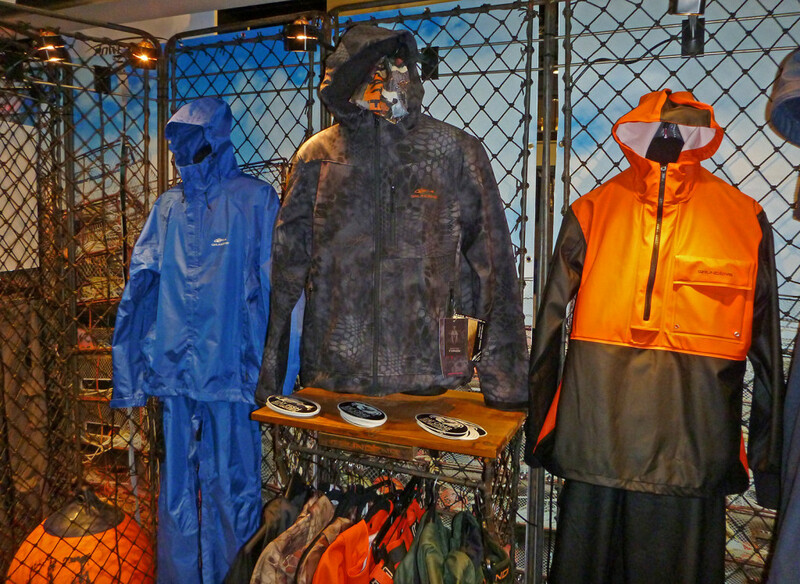 Simms also introduced the Acklins Jacket, the perfect solution for lightweight, packable waterproof protection. 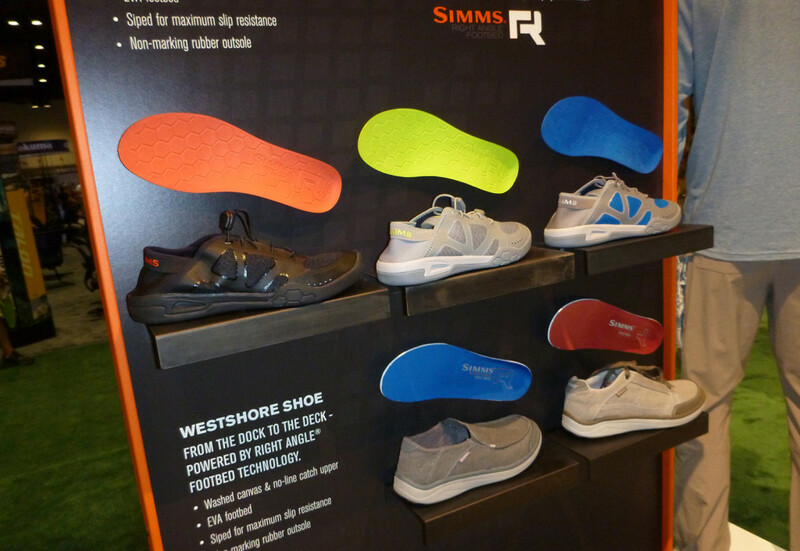 Simms also brought out new products for outdoor footwear and won Best in Show for Footwear with their newest shoe the Currents. 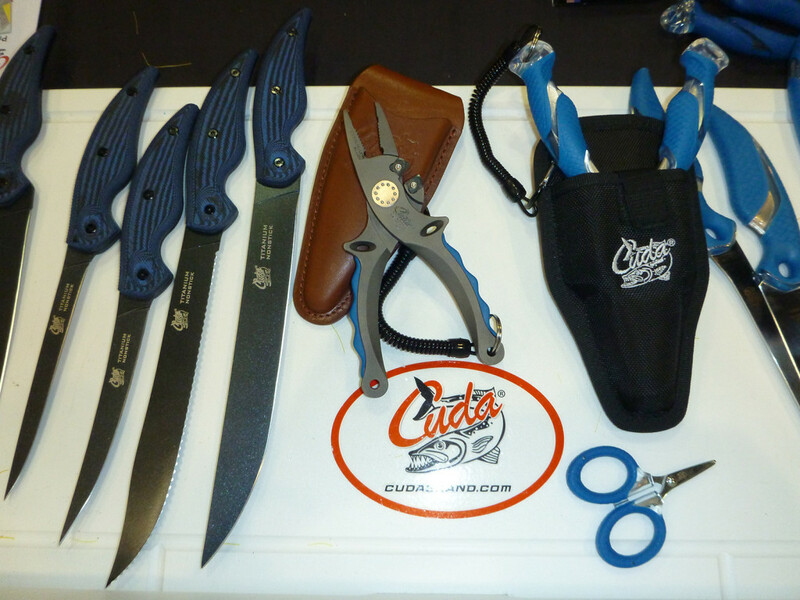 We met the crew from Cuda Brand, makers of high quality, yet affordable fishing tools and knives. 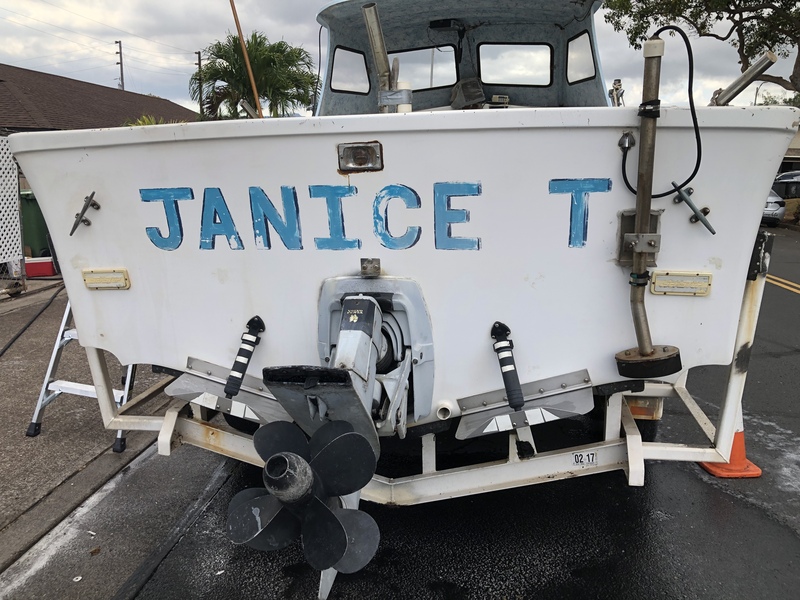 Their products are very well thought out for fishermen and built with special titanium coatings and components to withstand the harsh salt environment. 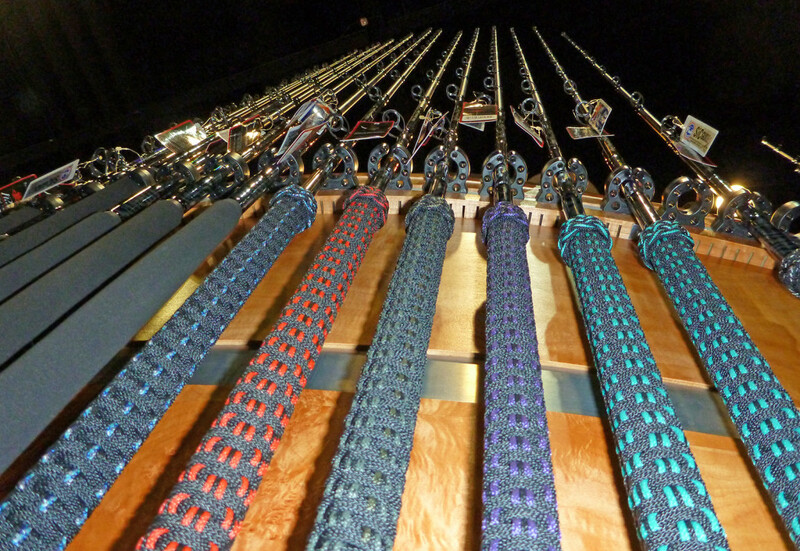 Cuda has many more products in their upcoming lineup including gaffs and harpoons. This is one to watch. 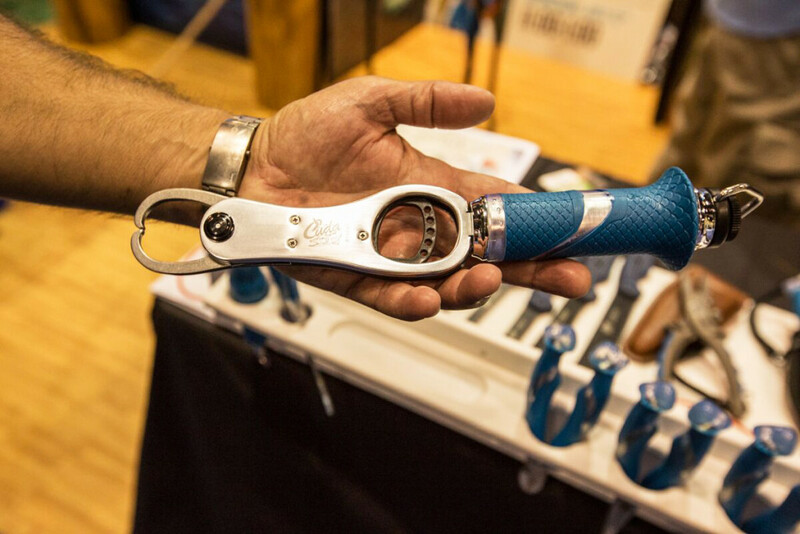 Cuda’s Grip and Scale is made to ease the handling of fish in a safe manner that makes fish release better for the angler and the fish. 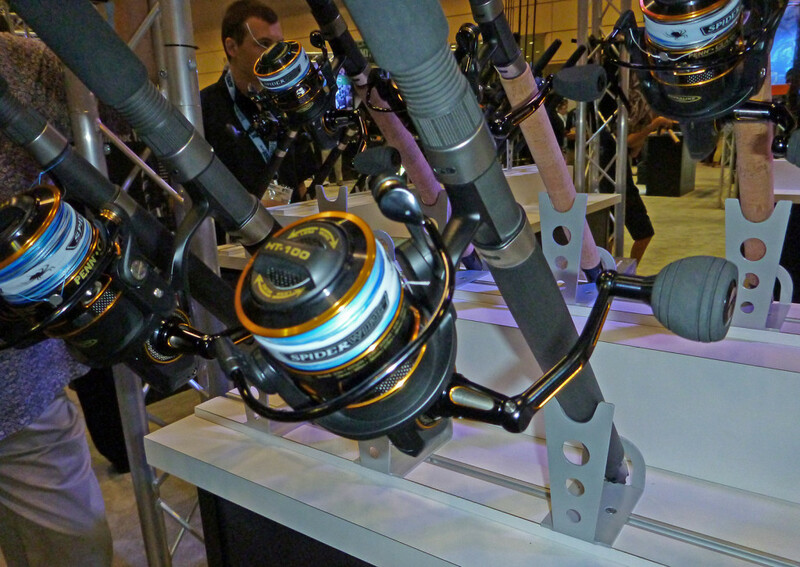 Okuma continues it’s line of new lever-drag Metaloid reels. Smooth, dependable and affordable, the Metaloid series is growing strong. 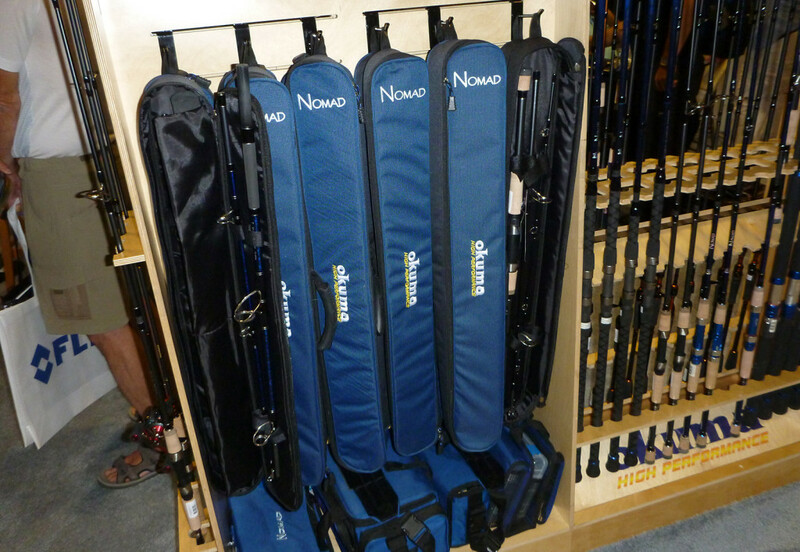 Okuma’s Nomad series of travel rods are one of their most popular items. 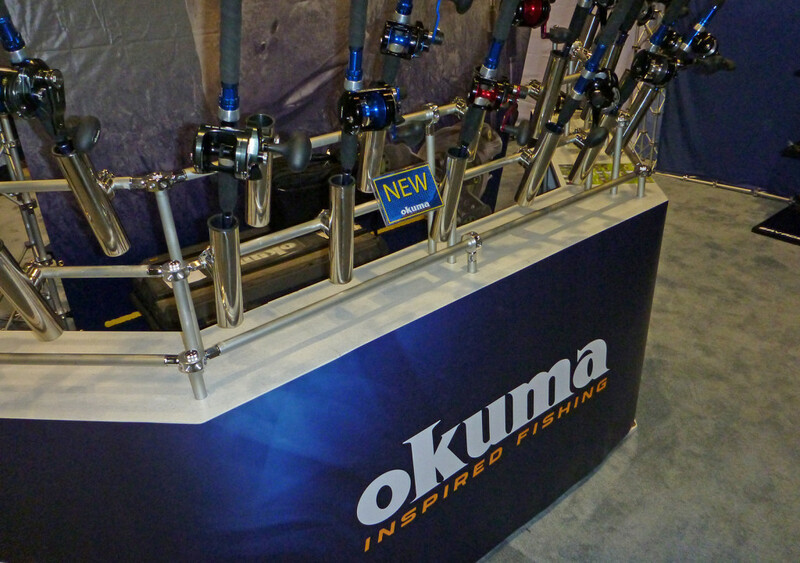 With input from the traveling angler, Okuma designed a wide variety of multi-piece rods that make taking quality equipment to the most remote fishing destinations a cinch. 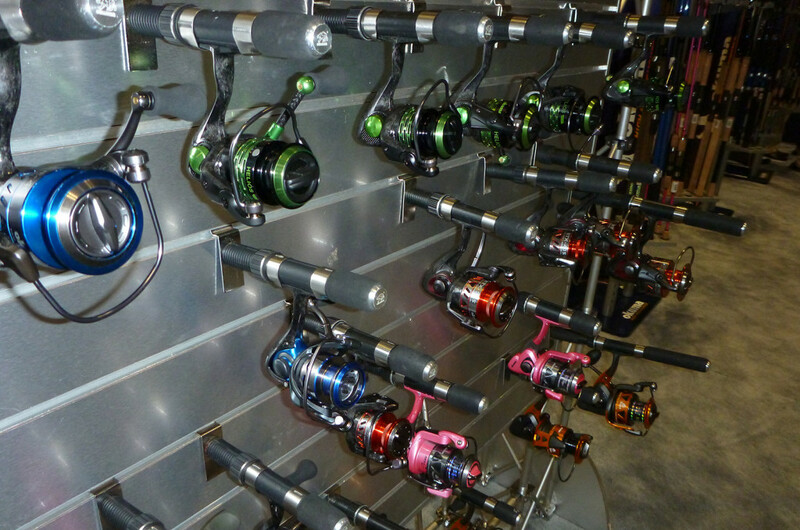 Okuma also offers a wide variety of spinning reels in a wide range of price points, but quality is the common theme no matter what price. You’ve heard that “the cream will rise to the top”. Well the Kysek cooler is on its way. 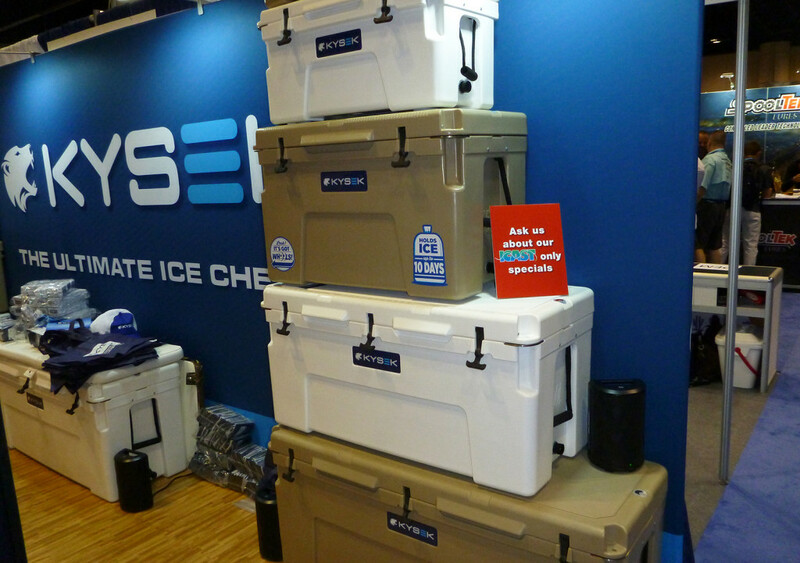 In a very competitive market, the Kysek Ultimate Ice Chest was one of the most innovative coolers that we have seen. 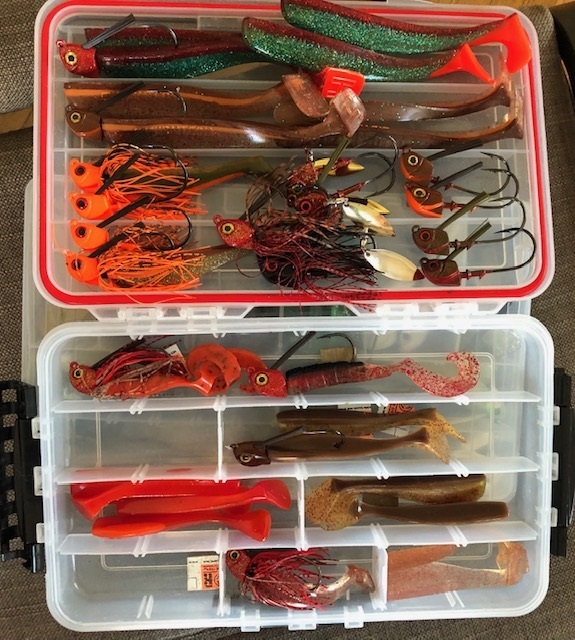 We talked to the owner/creator of the cooler and were impressed with his story and the tenacity with which he is taking on the challenge to build the best cooler available. Check this out! 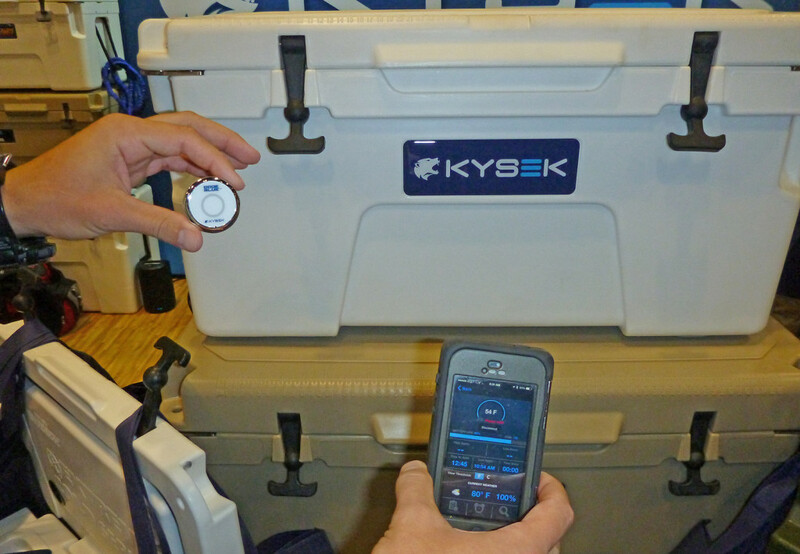 Code Blue is Kysek’s bluetooth temperature probe that can send the internal cooler temperature to your phone. There is more. Code Blue can calculate the remaining time before you need to re-ice by using the weather conditions from your current location. It can send you alarms concerning temperature and more. This is a very cool option for the Kysek of any size. Not only is it well thought out and appointed with handy and practical features, but the Kysek sports much more. 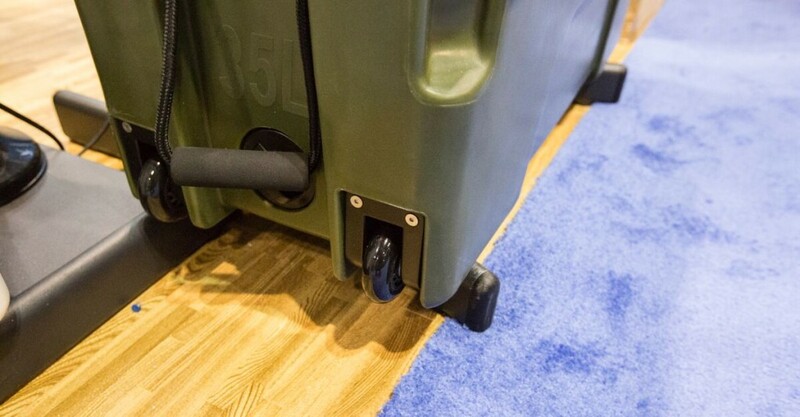 Wheels that are built in, yet not protruding, make the naturally heavy cooler a one man job to move around. Kysek designed and built their own HeavyHauler wheels to make them indestructible like the rest of their product. 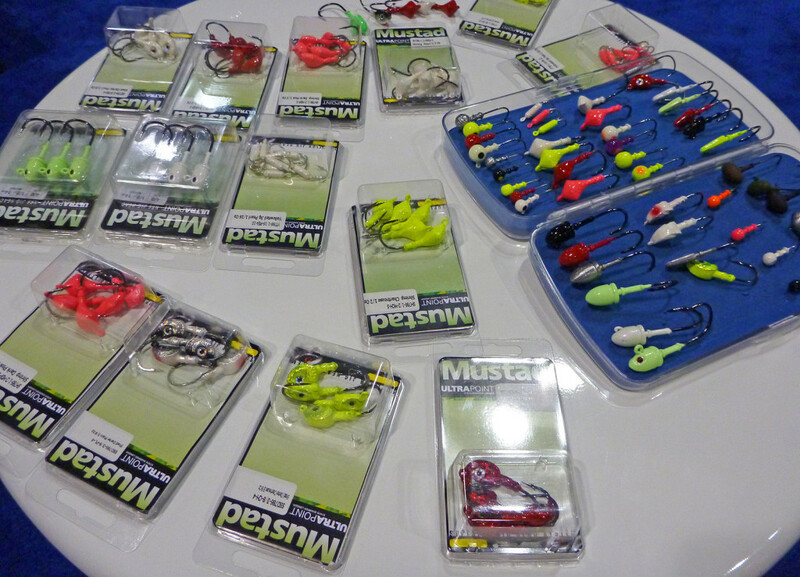 Mustad, maker of all things hooks, has expanded its line of premium jig heads for many types of fishing. These jigs are designed specifically for a wide variety of applications upon the advice and testing of Mustad’s pro staff. Fishing for great whites, Mustad makes that hook too. 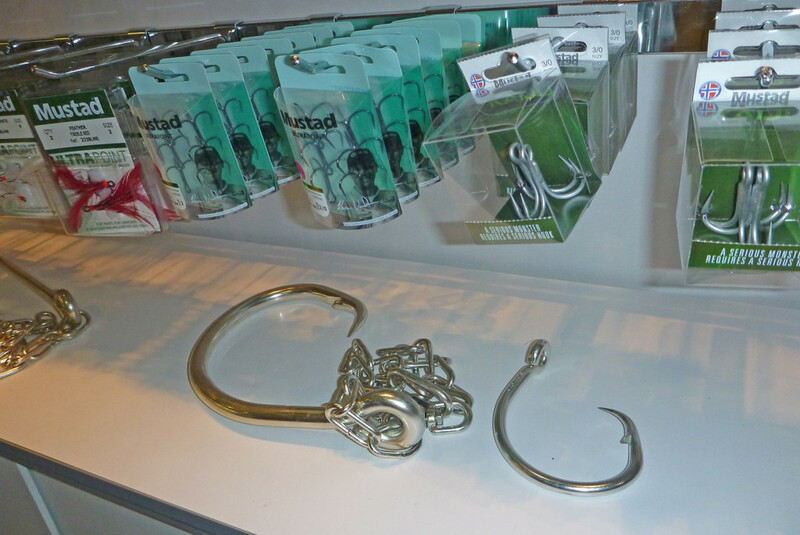 They have a hook for every occasion, but Mustad also offers a wide variety of tools and accessories. Grundens foul weather gear is a standard in the industry, and now for the first time they have made a suit designed for women. More flattering cuts for the ladies, but with the same commitment to keeping you warm and dry. Grundens also offers a wide array of modern materials as well as the classics. 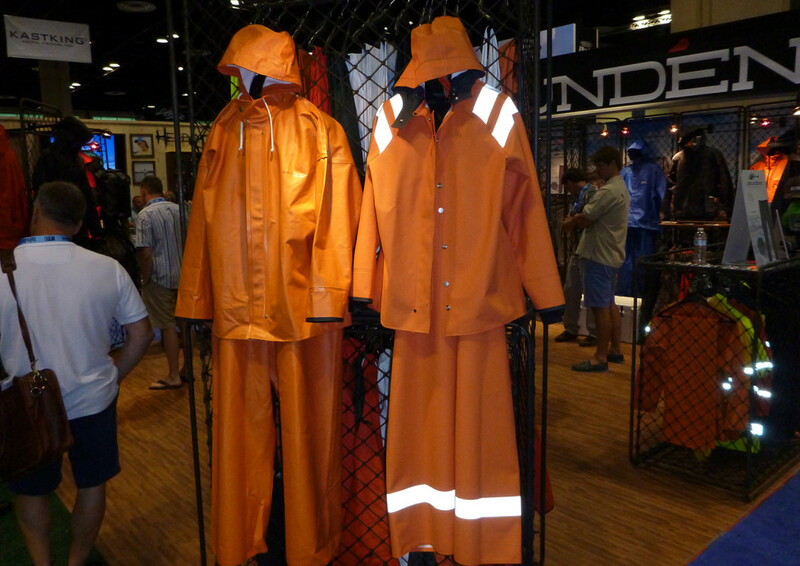 They have foul weather gear for any activity or climate. 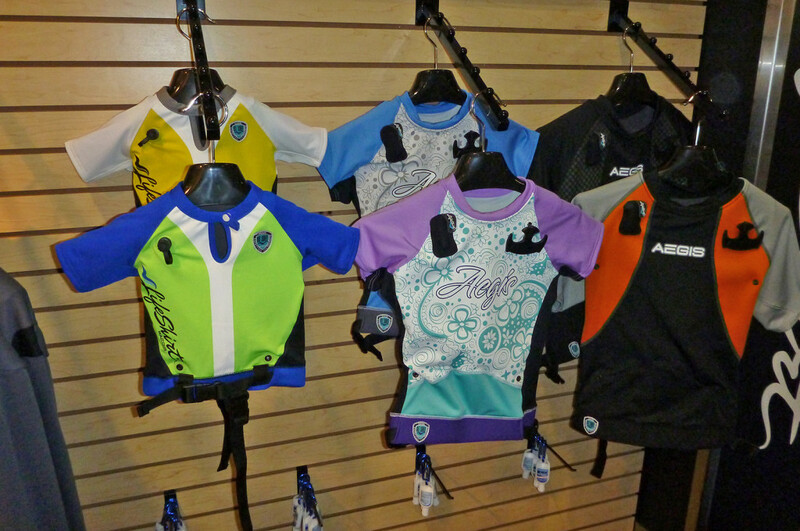 They also have a wide array of new apparel on the way in high tech fabrics and awesome designs. Stay tuned for more great things from Grundens. 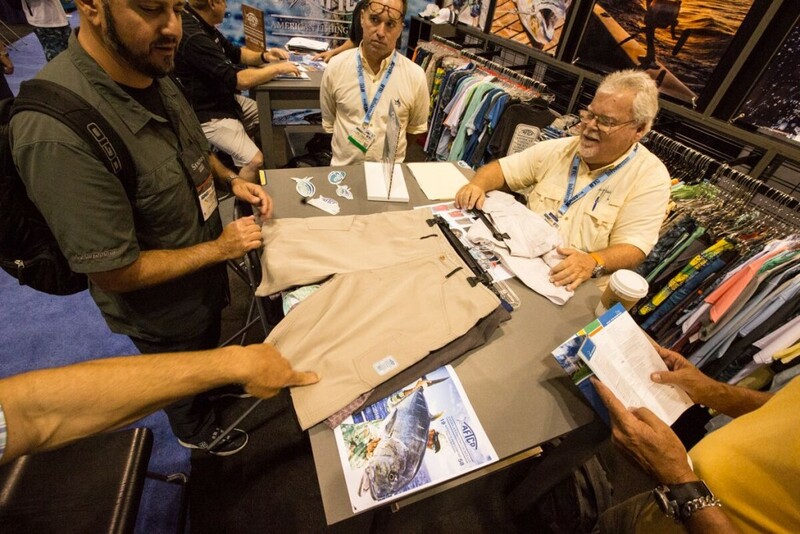 The Savage Gear booth is always a highlight for ICAST visitors. 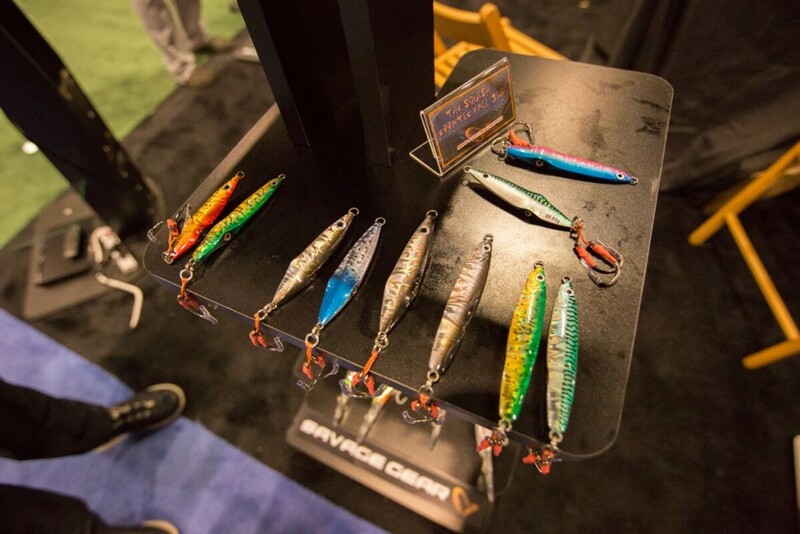 The creative and enticing lures are made to catch the fish, not the fishermen. 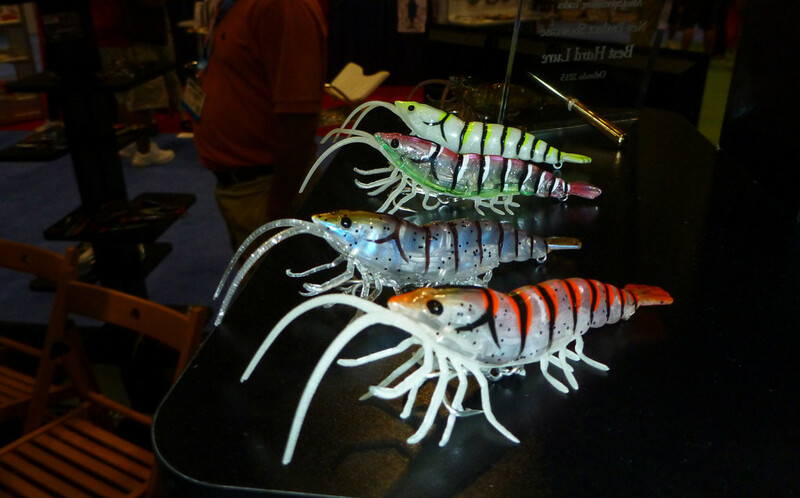 The new Hard Shrimp did win over the judges for a Best in Show Hard Lure. A hard-bodied shrimp with Savage’s life-like TPE legs and antennae give the best blend of durability and real-life wiggle. An innovative magnet in the body holds the hook close until the fish is hooked and then it can pull free and swivel. Can’t wait to try it. Is there a crab-eater in your fishery? Redfish, permit, drum, and cobia come to my mind and this lure is on my wish list too. 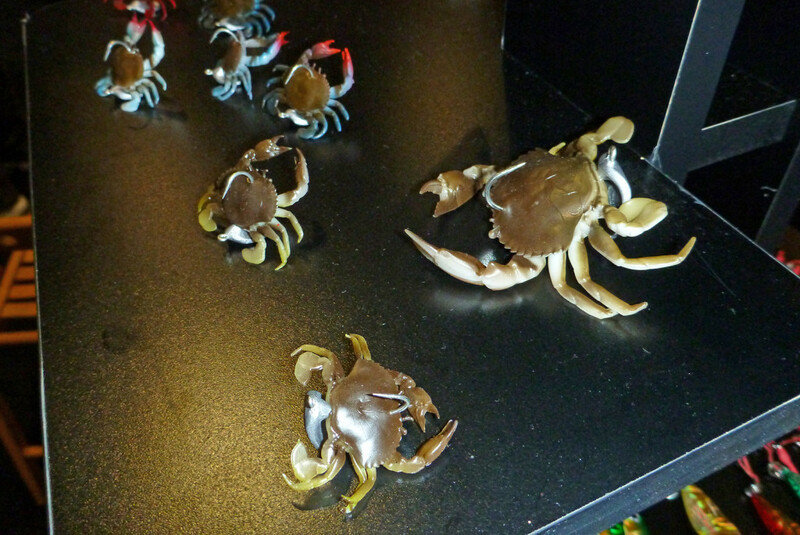 Amazingly real, yet made with durable materials these Savage lures are molded right from a real crab. The lure that I’m most excited to try from Savage’s newest creations is the soft-bodied, floating, weedless popper. 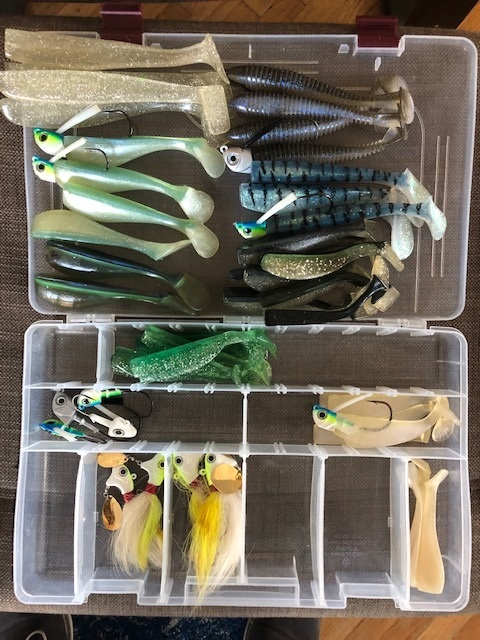 The Mud Minnow and Hard Mud Minnow will be perfect for that early morning bite in the heavy cover and grass. Is it a fish or squid? No its both and called the Squish, Savage Gear‘s awesome looking metal jigs. 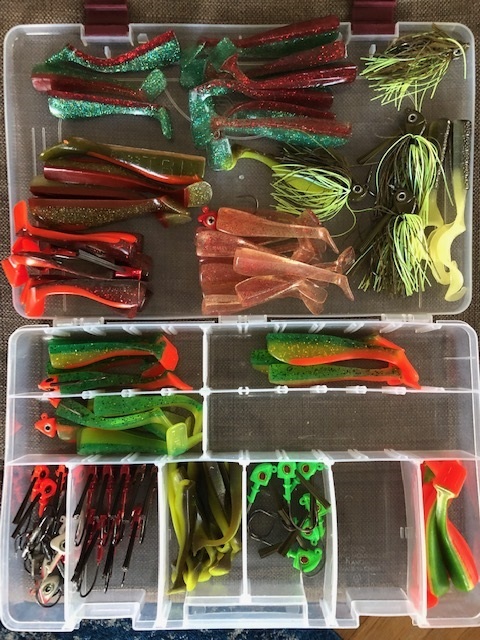 These jigs have an incredible finish and heavy duty construction for tackling any big gamefish. 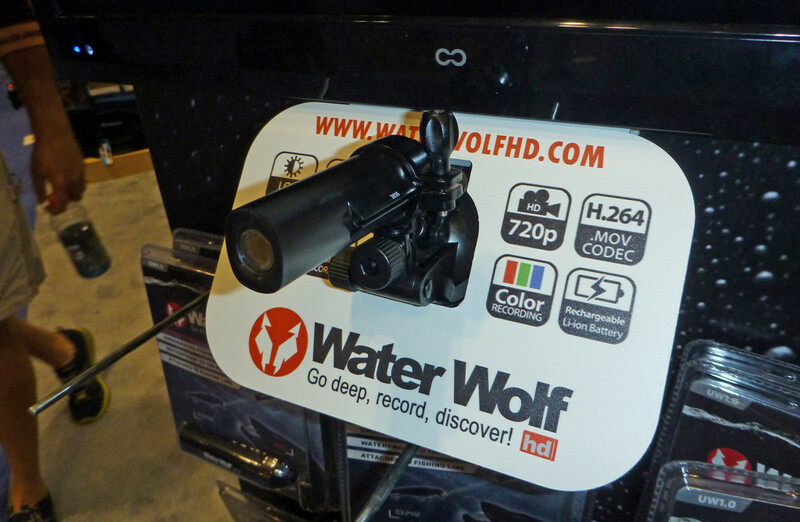 Now you can get the underwater shot of the bite with the inline Water Wolf video camera. With a wide variety of rigging options and mounts, the Water Wolf is versatile and small, but not lacking if features and battery life. This up and coming product from Aegis Lifeshirt is going to fill a drastic need for a comfortable PFD option that is Coast Guard approved. Traditional lifejackets are so bulky, hot and uncomfortable that no one wants to wear one and you can’t blame them. The Lifeshirt is made of breathable fabrics and operates as a self inflating PFD, but also has a manual setting. This looks like it could solve the problem and save lives doing it. The judges agreed because they gave the Lifeshirt Best in Show for Technical Apparel. 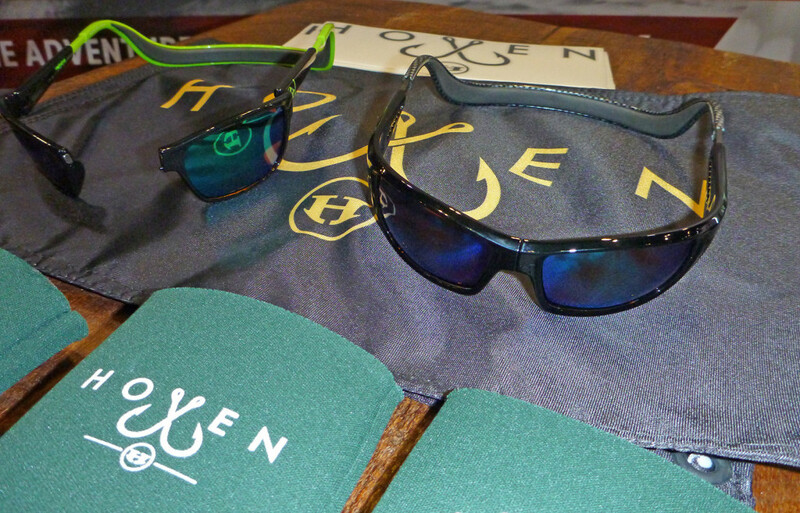 Hoven has turned its eye on anglers with their newest designs. Made to float with a built in back strap, but with the awesome magnetic connection in the front for the ease of on and off. The Monix Argonaut Series features quality polarized lenses that cut glare for your time on the water. Have you ever sat in a freezing stand until your feet were numb? Someone at Flambeau has and came up with the fix. 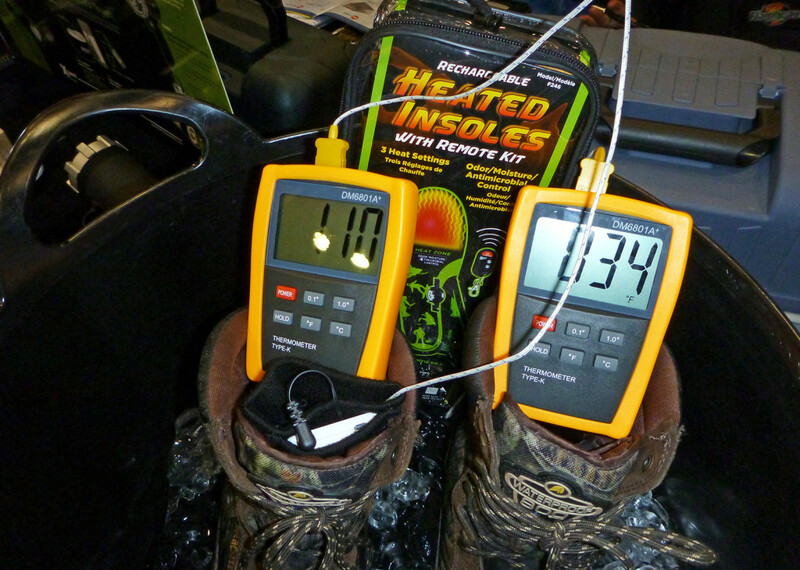 Heated insoles for your hunting boots will make those cold mornings a lot more tolerable. Now that your feet are warm, how about your hands. Stay warm and fingers at the ready for this year’s cold weather hunt or football game. 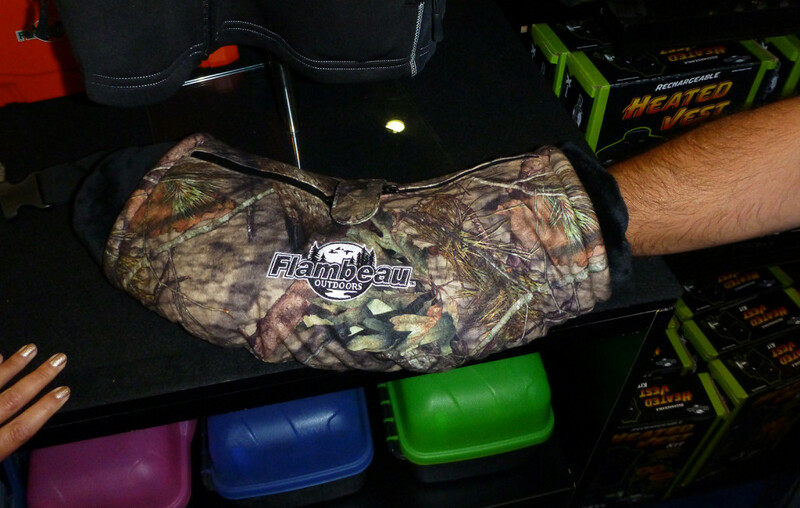 This heated hand muff from Flambeau is the answer. The newest edition to the Penn spinning reel family is the Clash. 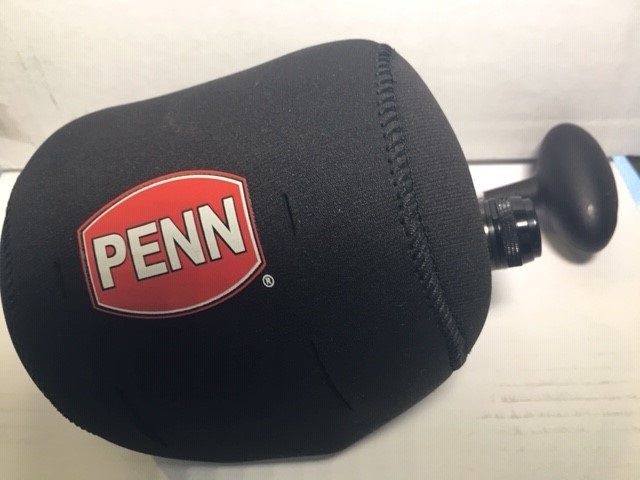 Penn has put their best features in this line and created a smooth, quality spinning reel designed to handle todays demand for heavy drag and durable construction. This reel felt really good in my hand and I can’t wait to test it out in the real world too. Penn has designed their new Carnage II rod series to go hand in hand with the demands of fishing braided line for big fish. Lightweight but super tough, these rods have comfortable grips and a parabolic bend just right for modern day jigging and popping. 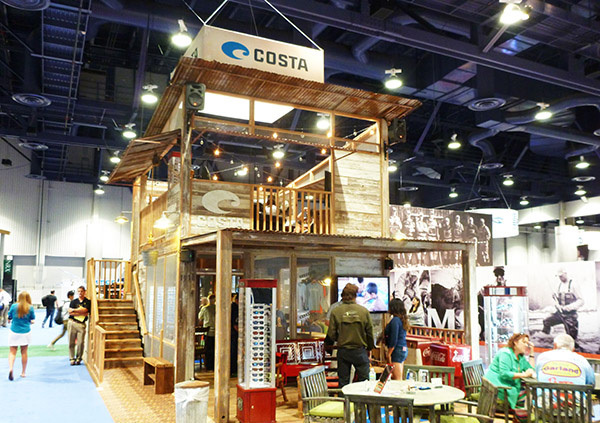 Costa is always the heart of the party at ICAST, but their glasses are all business on the water. Costa Del Mar is a standard of excellence in the industry for design, clarity and comfort. 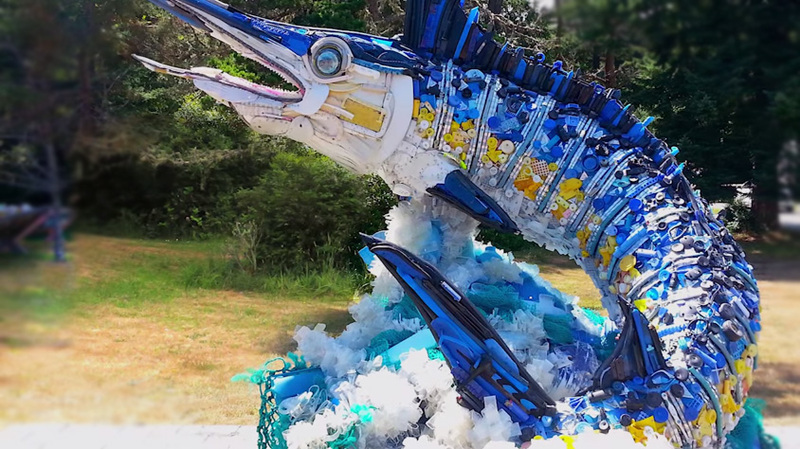 Costa also kicked off its Kick Plastic Campaign with a giant marlin sculpture made entirely from plastic litter from the beach. The amount of plastic making its way into our water and fish is alarming and Costa has stepped up to do something about it. 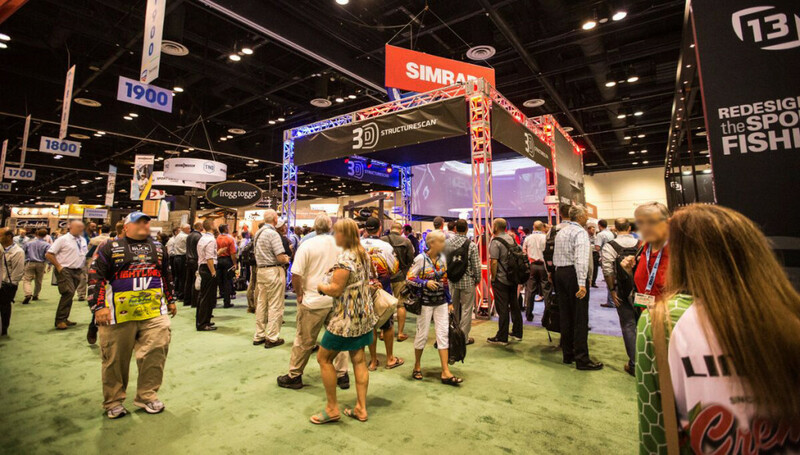 Navico, the parent company for Simrad, Lowrance and B&G electronics launched several new and innovative products and software apps to improve your abilities and safety on the water. 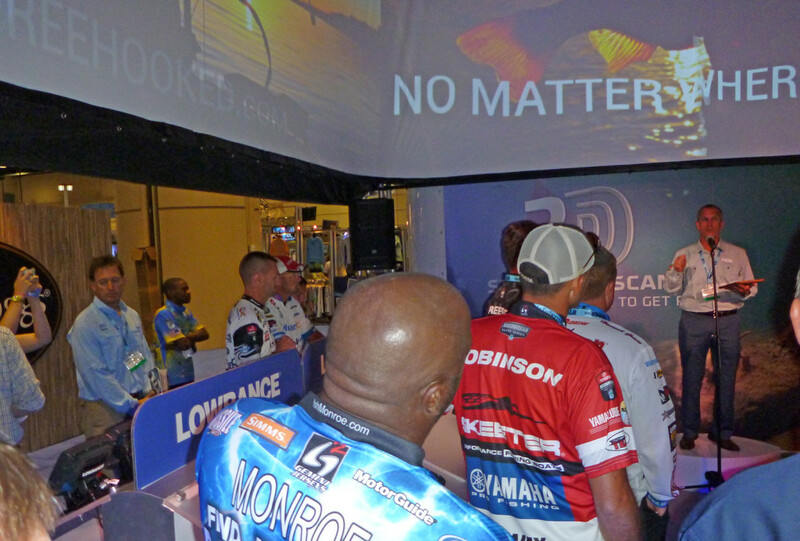 The new Halo Radar was a big part of the show and I think it will enhance the way we fish by leaps and bounds. 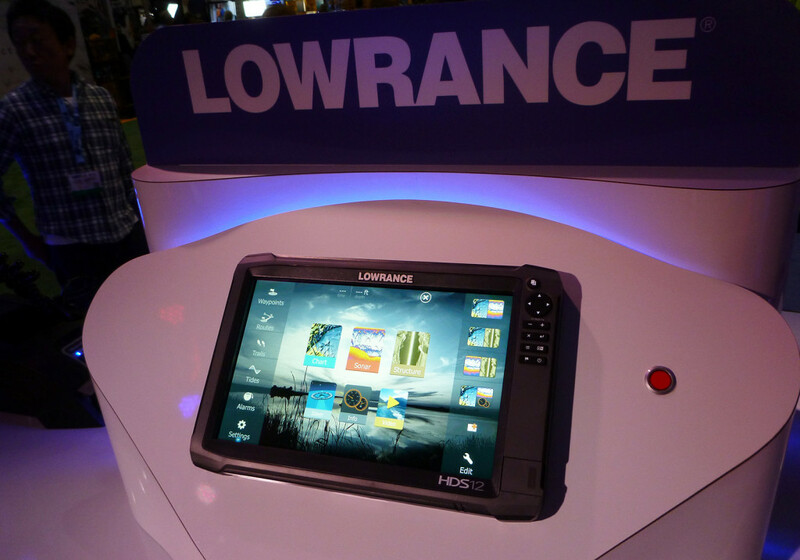 The new Lowrance HDS multi-function unit was on display and there is not much these modern units can’t do. Touch screens put their user-friendly menus at your fingertips and everything can be customized to your uses. More big news was the launch of 3D Structure Scan which paints a real-life 3D picture of everything under your boat. You have the ability to change the viewing angle to maximize clarity and perspective. The GoFree cloud-based digital software is growing in its abilities and features. 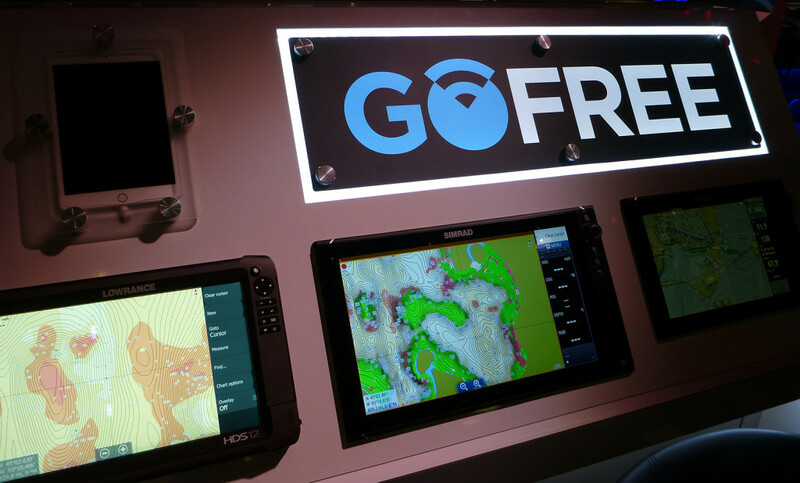 The new Simrad and Lowrance units talk to the cloud updating charts, creating your own charts, or sharing your adventures with others in the GoFree community. Batson Enterprises is the maker of quality rod components like Rainshadow blanks and Alps/Forecast seats and rod parts. Their components are used in a majority of rod builds by premium companies and now Batson makes it easier to build your own custom rod or have one built custom for you. 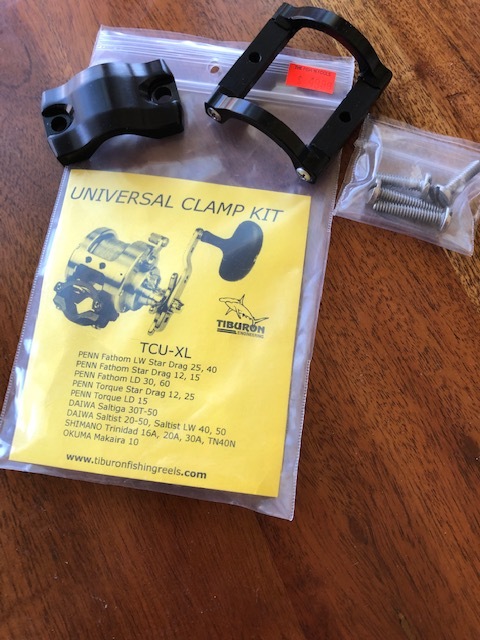 Alps introduced their newest reel seat from Alps/Forecast. The ALPS RAPID MVT and Graphite Spin Seats are the most innovative spin seats on the market in both design and performance. Based off the wildly successful MVT and TexTouch casting seats, these new spin seats are unmatched. 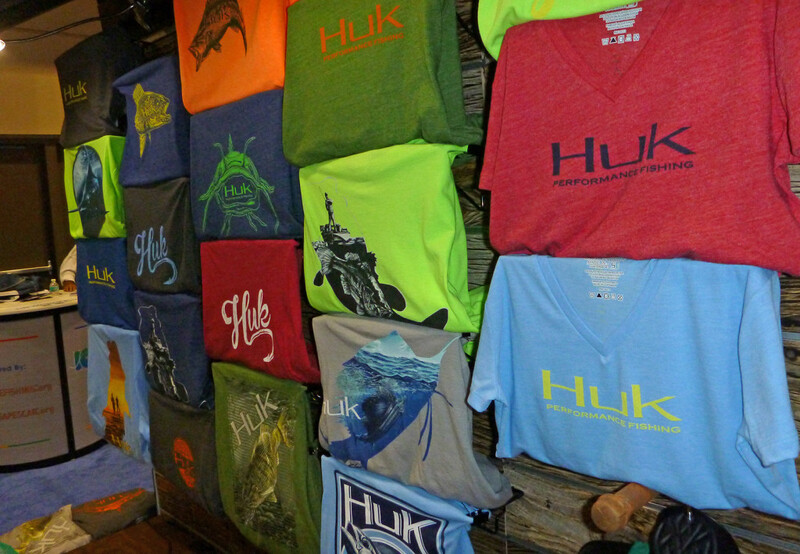 The crew from HUK Performance Fishing was on hand to show off their latest designs in performance apparel. They have new designs for both on and off the water. 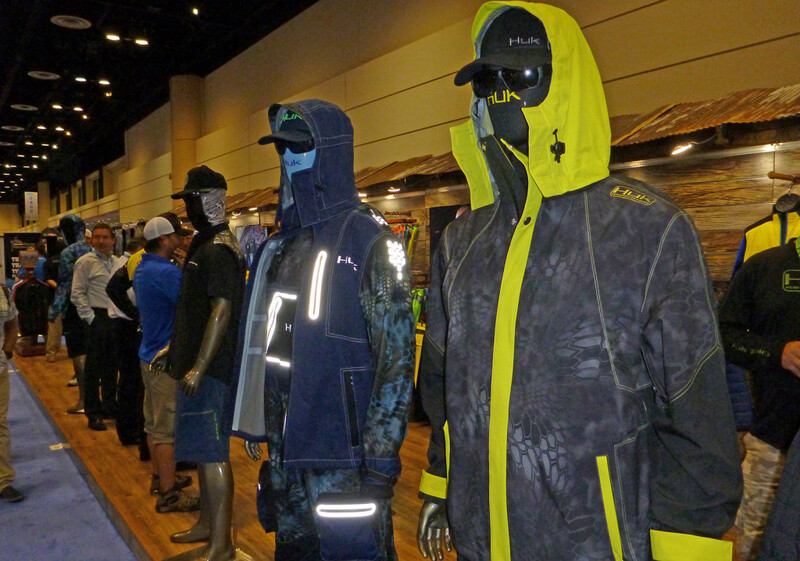 HUK is not just t-shirts, their line of full foul weather gear was impressive and looks cool too. You need to check them out. 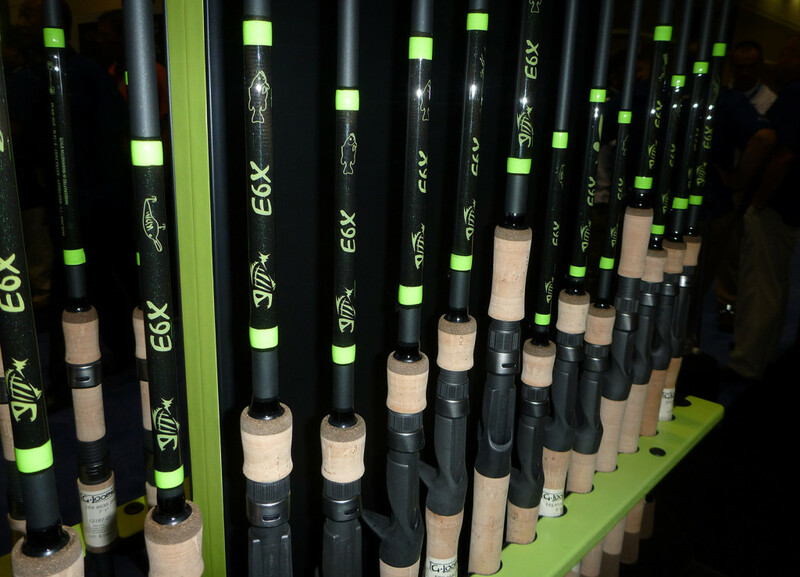 G. Loomis introduce an award winning new rod series called the E6X. The freshwater version won Best in Show Freshwater Rod and the inshore version is just as incredible. 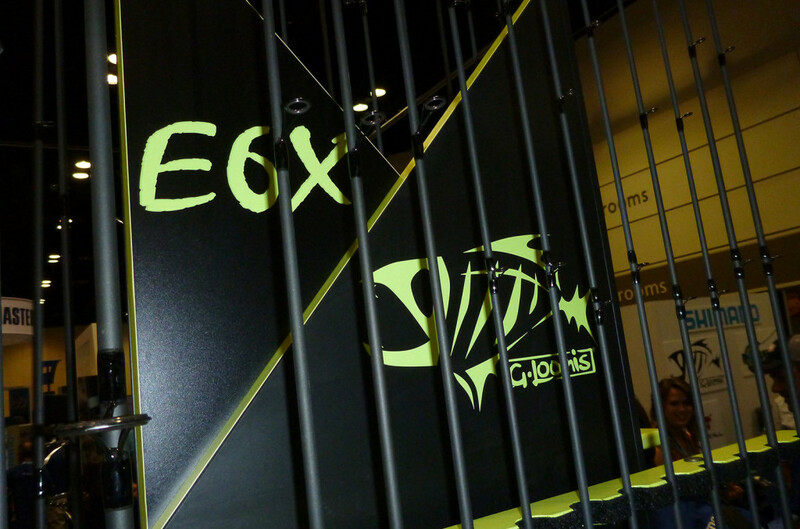 Anglers can enjoy G. Loomis’ Multi-Taper Technology in the new E6X rods. Combined with E6X blank material, quality components and full cork handles, the rods offer the proper balance and the needed strength for all fishing situations. As always our friends at AFTCO have been busy improving and expanding their already amazing line of apparel and hardware. 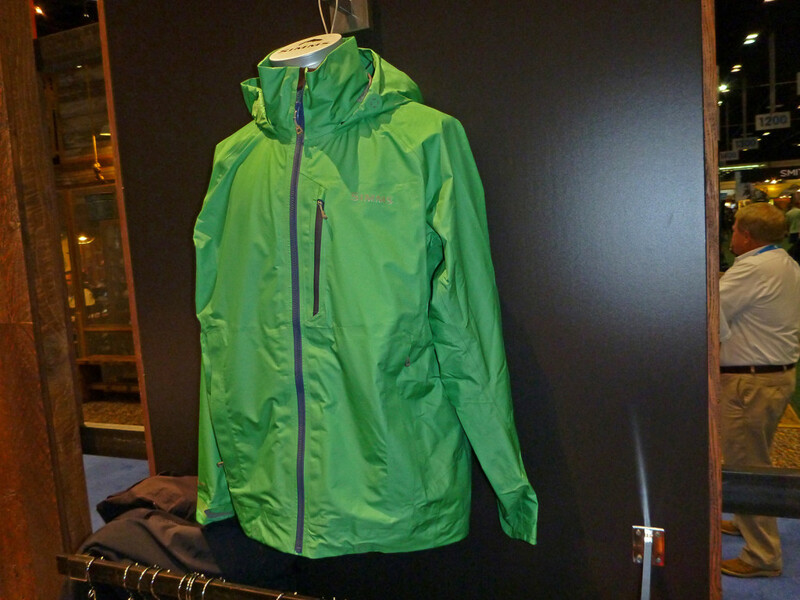 New technical fabrics are being incorporated into AFTCO’s popular and stylish designs. My new favorite is the Samurai shirt, for cool feeling sun protection, I have not found its equal. They also launched a whole new line of Guy Harvey apparel that is stunning. 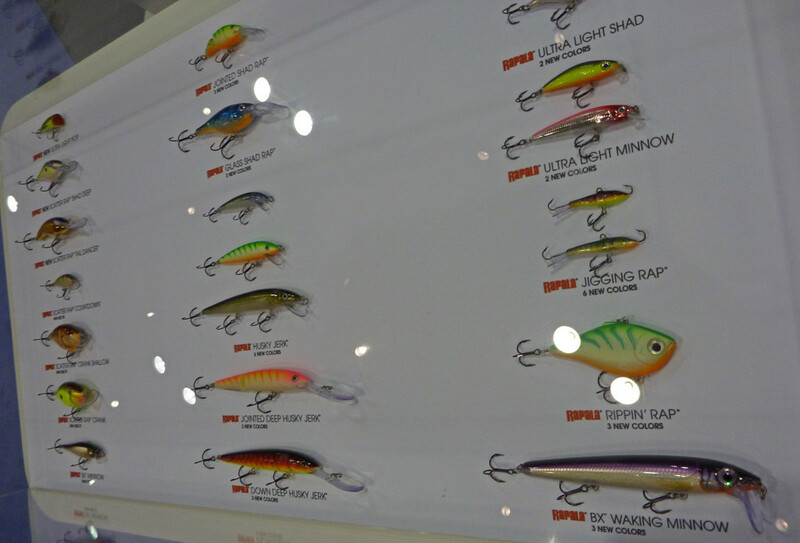 Rapala continued their long tradition of finely made lures for fresh and saltwater. A very extensive selection of new products will be hitting the market for the upcoming year. 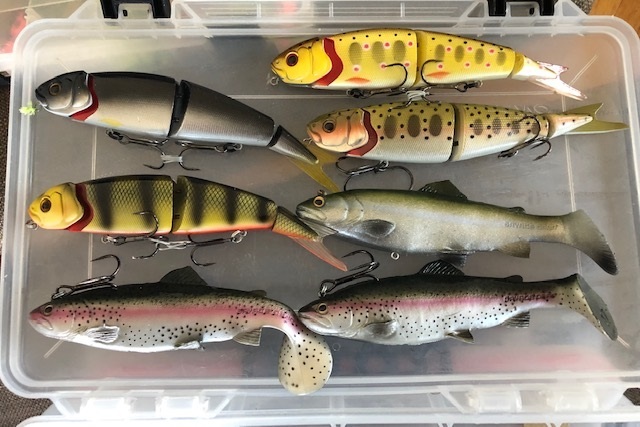 Rapala also makes a line of tools and accessories for the discerning angler. 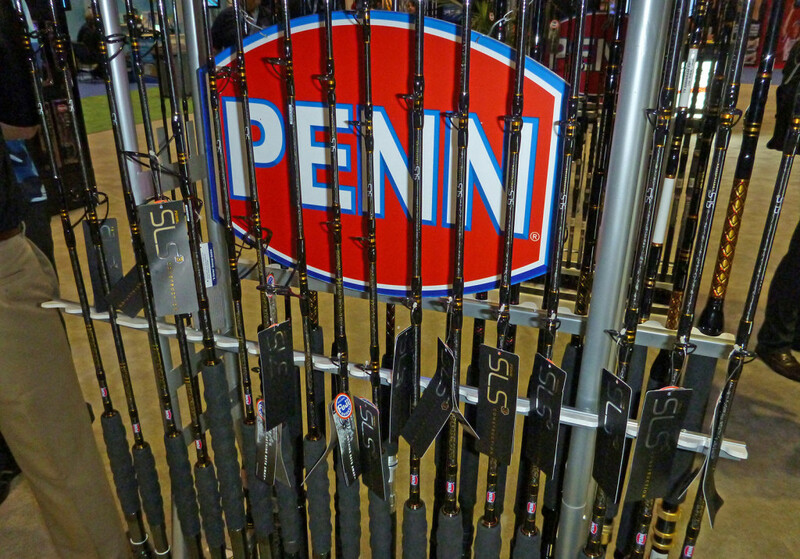 Phenix rods uses premium components to build a quality rod that fishes and feels custom made. You cannot go wrong with a Phenix rod. 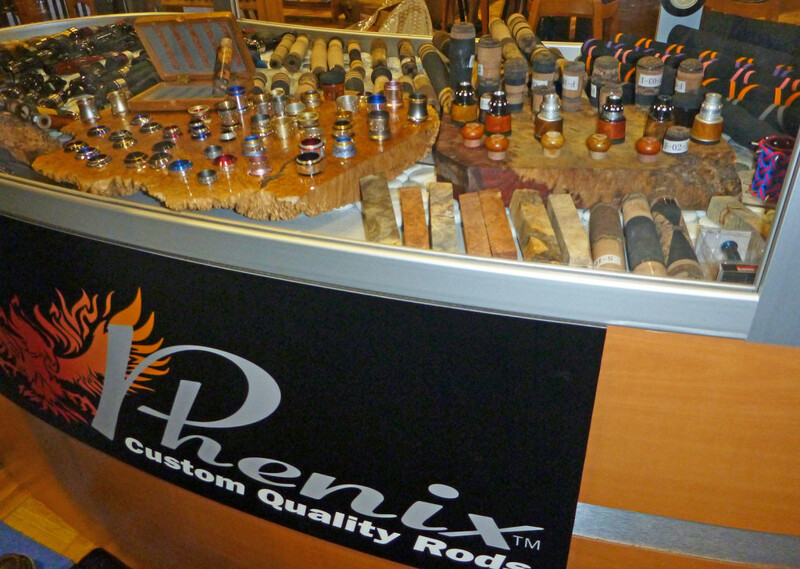 Phenix had the classic “deck hand wrap” on some of their quality rod builds and the finished product was stunning. 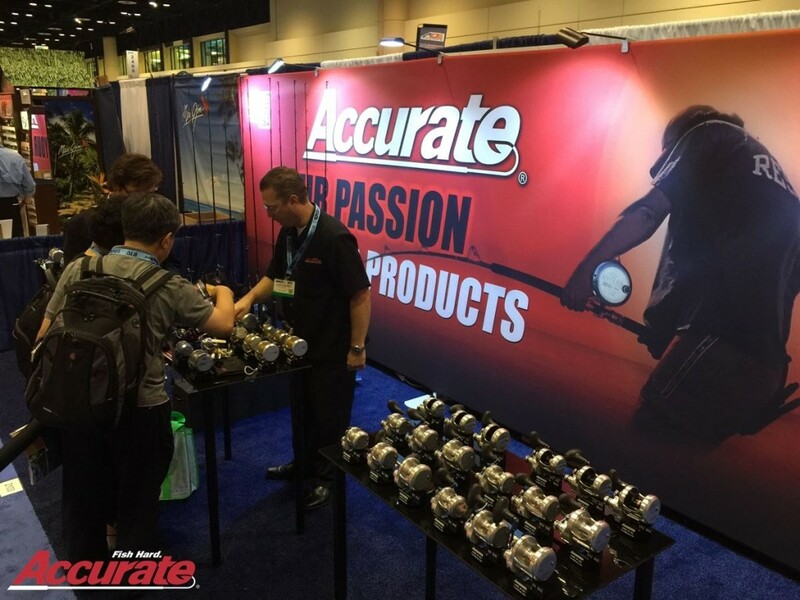 Accurate had the full line up on display including their newest release the BV-300 mini lever-drag reel. Accurate is the pinnacle of quality machined reels for every occasion and they have changed the rules of catching big fish on small reels.